Prior to his current role (Emeritus), Ron held the role of President and CEO and was responsible for the day-to-day management of the design, delivery, and marketing of the Center for Leadership Studies (CLS) programs worldwide. Prior to appointment as President in 1992, he served as Executive Vice President of Marketing and as Director of Training Development. Now during Ron’s Emeritus status, he serves the Center as a master trainer, subject matter expert and client consultant. With his deep knowledge, vast experience, and relationships with other thought leaders in our field, Ron has assisted in the development of the new curriculum recently developed by CLS and has been called upon to leverage his experience as the organization transitions into a new era. Outside of Ron’s involvement with CLS, he is a faculty member at the University Of Chicago Booth School Of Business and teaches in the Executive Development Program. Additionally, Ron is an Adjunct Professor at Nova Southeastern University, Huizenga Business School. Ron has over thirty years of Consulting and Training experience with major companies in the Fortune 500. He works with a variety of domestic corporations and has extensive international experience. Particular areas of training, Certification and Application include Leadership Skill Building, Performance Management, Team Building, Conflict Management, DiSC, MBTI, Emotional Intelligence, Coaching, Mentoring, Sales, Parenting, and Service Training. Ron has worked with a variety of client systems internationally in public, private, and government sectors.Ron earned his B.S. in Human Relations and Organizational Behavior from the University of San Francisco, and a B.S. in Business Administration from the University of Hawaii. He holds a Masters in Human Resource Management from Pepperdine University and a Masters and a Doctorate in Applied Behavioral Science from California American University. He has taught courses at both the graduate and undergraduate levels in Management, Personnel Administration, Statistics, and Organizational Behavior. S. Krishnan is an inspiring leader with strong business acumen. He is a financial expert and his expertise is one of the greatest strengths of Adgear Media. 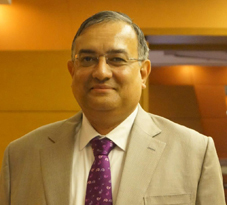 Highly qualified, he is a Science Graduate and an Associate Member of the Institute of Chartered Accountants of India and the Institute of Company Secretaries of India. He has worked in a variety of industries over the past three decades and has a rich ace in domestic and international businesses across sectors. He has specialized in fundraising and M & As. He has also been into corporate communication which brought him significant interaction with the media. Krishna is the founder of Potential Genesis. 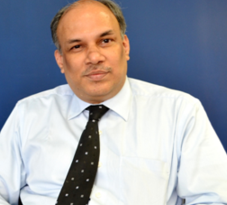 He has 30 years of rich experience in the field of Human Resources across industries. He is a Professional Certified Coach from International Coach Federation & a Certified Master Coach from Behavioral Coaching Institute and also from Results Coaching, Australia. 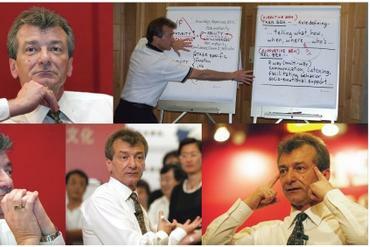 He holds Executive Masters in Neuro Leadership from Neuro Leadership Institute, Australia. His knowledge Neuroscience enables him to bring Neuroscience to People Development. His book “Prismatic Coaching” describes about Getting to the Core element through Self directed Coaching. 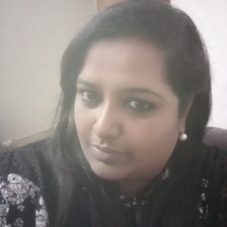 Marian Anugraha, brings around 13+ yrs experience of professional experience in Human resources, Information Technology and also as a freelancer. She has done her Masters in Business Administration from MOP Vaishnav College for Women. She is highly motivated Behavioural trainer and coach, with experience in training small and large groups across diverse industries and educational institutions. Proven success in leveraging educational theories and methodologies to design, develop, and deliver successful training programs. Envisions being an Executive Coach and is in constant pursuit of excellence. N. Kokhila brings around 14 years of versatile work experience in Manufacturing, Engineering and ITES sectors. 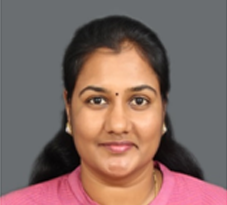 She has worked in various gamut of Human Resource function in both Indian Companies and MNCs. Being a passionate HR professional, she extensively focused on people development areas. She did her Executive General Management Programme from IIM, Lucknow and also holds a Masters in Social Work. Writing poems and paintings are her other interests. She writes articles and poems on her blog and prefers to play Badminton during the leisure times.